Does this picture make sense to you? I can explain it, if you'd like. 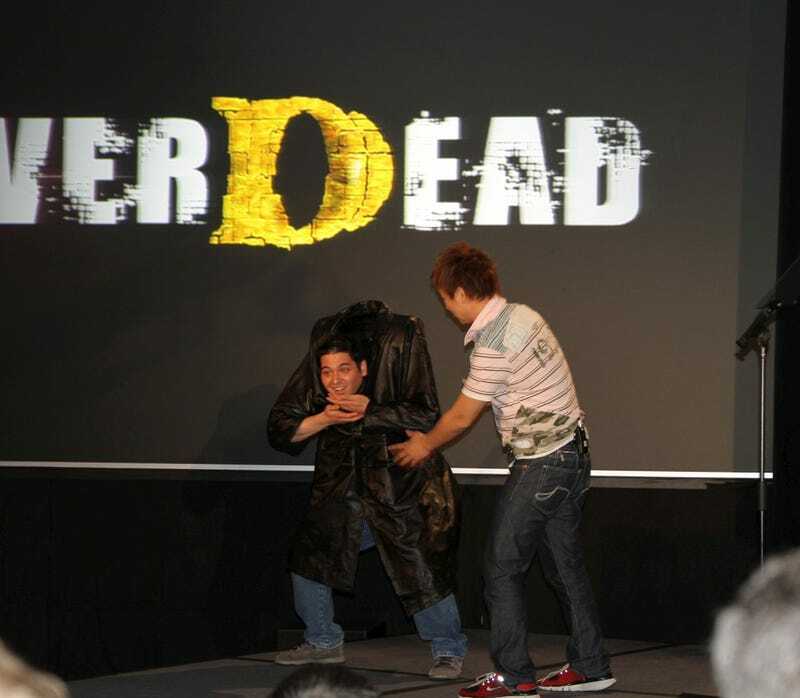 You are looking at a scene from Konami's wacky E3 2010 press conference. The two man are game developers who were working here, explaining the new game Never Dead. It's a third-person shooter, a game about a guy with guns who shoots a lot of demons and/or monsters. This guy can be dismembered, but that won't stop him. He can put his body back together. What better way to show this than pretend to have your head knocked off? The Konami man put his head back on his shoulders a second later.